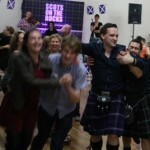 Welcoming some visitors on their way to Winter School in QLD the class danced The Scottish Waltz Country Dance, Rye Twist, The Brisbane River Reel, The Iona Cross and Tweedside. Looking towards the RSCDS Sydney Branch Ball last night we polished Miss Johnstone of Ardrossan, Hoopers Jig, Linnea’s Strathspey, Just for Fun, Diamond Jubilee, Pelorus Jack and finished off with Miss Johnstone of Ardrossan for an encore. 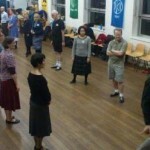 Last night we warmed up with Circassian Circle then polished some ball dances – The Harbour City, Moment of Truth, The Music Makers and Drumelzier.